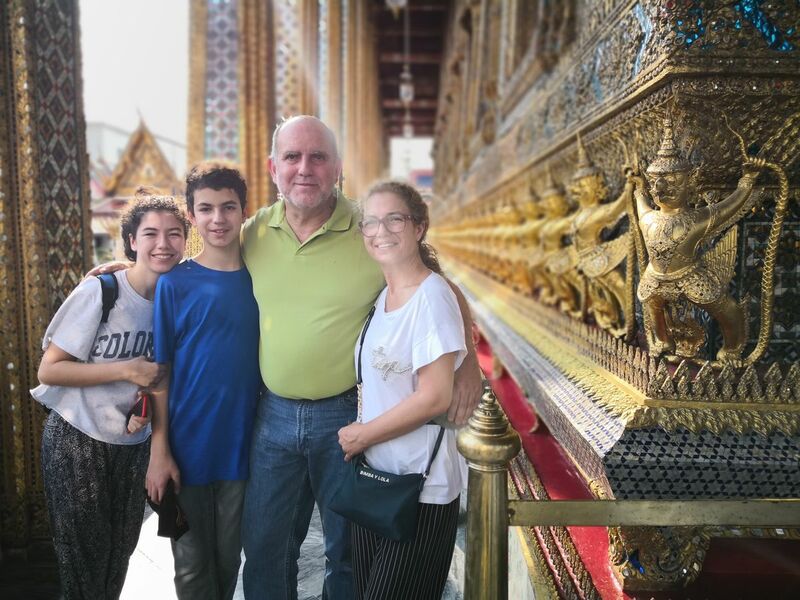 At the heart of Bangkok, you can fully enjoy the experience of touring the Grand Palace and three main royal temples, combined with a private long-tail boat ride along the iconic Bangkok canals in the morning with the most important temples of Thailand! Let's walk to a local fresh market. Discover the community together! We can also find meat, seafood, fruits, Buddhist items and clothes here! The Peninsula Pier. (Well-known 5 star hotel at the river bank). Next, we head to The Emerald Buddha Temple and The Grand Palace. After we explore the nooks and crannies of Bangkok Canals, we will go off at the Grand Palace's pier. - Walk to main gate to enter the Emerald Buddha Temple. - Enter The Grand Palace area. The restaurants are either open air/air conditioned with finger-licking, lip-smacking Thai food of your choice! Time for some Tuk-Tuk ride! Immerse yourself in the amazing feeling of taking in the sight of the enormous golden figure of the ‘Enlightened One’ The largest collection of Buddha images cannot be explained with words! Enjoy some Thai Traditional Massage near Wat Pho. At The One Pho Traditional Thai massage uses no oils or lotions. The recipient remains clothed during a treatment. You will surely enjoy the authentic experience and come out feeling better than ever! Let's take the ferry across the Chao Phraya River! Last but not least is Wat Arun (The Temple of Dawn). The design features a Khmer-style pagoda. The tallest grand pagoda is beautifully decorated with tiny pieces of colored glass and Chinese porcelain placed delicately into intricate patterns. Breakfast should done before the trip. Pocket Money for your Lunch after finish the trip. More value, More experiences and more great photos! with International tour Guide Licence personal in full day. This private tour offers you the unique chance to discover, lean and enjoy Thailand's most treasured landmarks! – For men, no short shorts and no tank tops(shirts may have sleeves) long pants, and sandals with a strap at the back. – For women, must wear skirt longer than knee length not allowed pants. – Protector sunlight or rain items.